This project is quite remarkable as it does what every well-seasoned electronics engineer does – it guesses. It learns by guessing, and finds the most optimal (yet cheap) way of delivering required performance from any given circuit. A million times per second. - You get the component values that implement desired target response! Magic! - Machine Learning! All you have to do is calculate the distance (evaluate similarity) between given target response and previously obtained circuit solutions and pick the best one. Ta-dams, Artificial Intelligence! Almost there! - The moment you get a good match from previous step, you could kind of improve it by slightly randomizing the values of components (like 10-20%? ), and find a lil bit better solution thru several passes of randomization and pinpointing (10, 8, 5, 1% “fuzziness” for each cycle). - But the most important thing is… Magic! Another BIG update. Now with UI that makes sense, as well as event engine that makes everything update in real time. MVVM, bindings and ooooh. You change input response? Everything that uses it recalculates and displays results. You change targets? No worries! 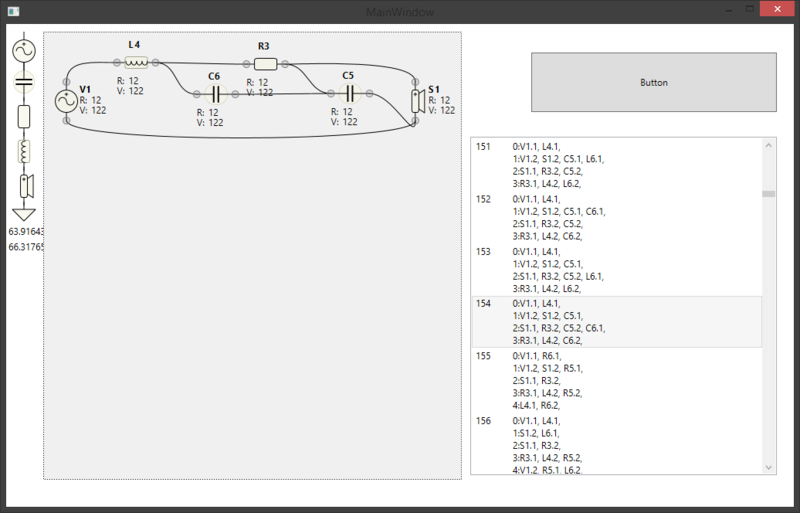 well, magic happenned and it took like 30sec to solve the more-or-less complicated circuit i've defined, as i needed to ramp-up the resolution for these shallow notches. Uh-oh, FAILURE. Hella yes! Let's do it in real time, as it is exceptionally fast! Now we need a tool to draw target responses. With a mathematically possible curves, typically your's truly low-pass, high-pass approximizations as well as PEQs, shelves and everything. Should conform to LTI, as we are talking passive-analog schemes to be solved. So, IIR filters we go, and biquads we use! 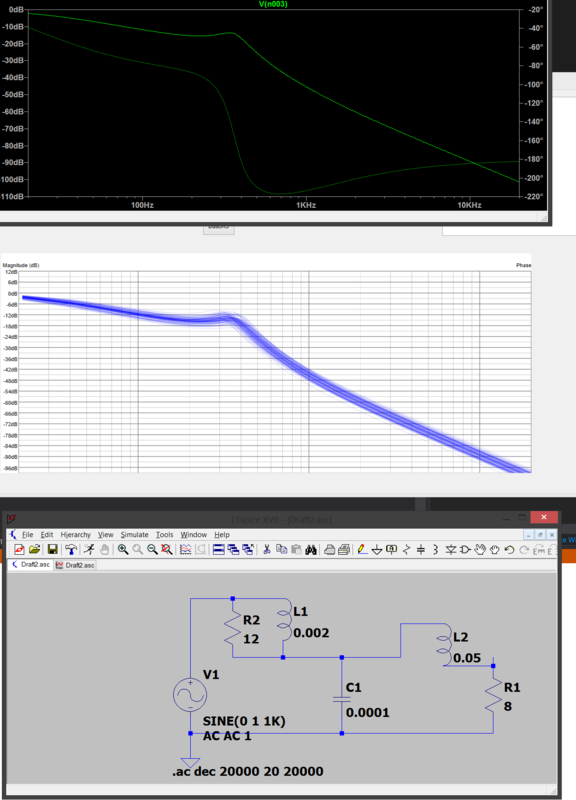 Live dragging of component values on the schematics and LIVE simulation of the resulting circuit! Circuit mutations! 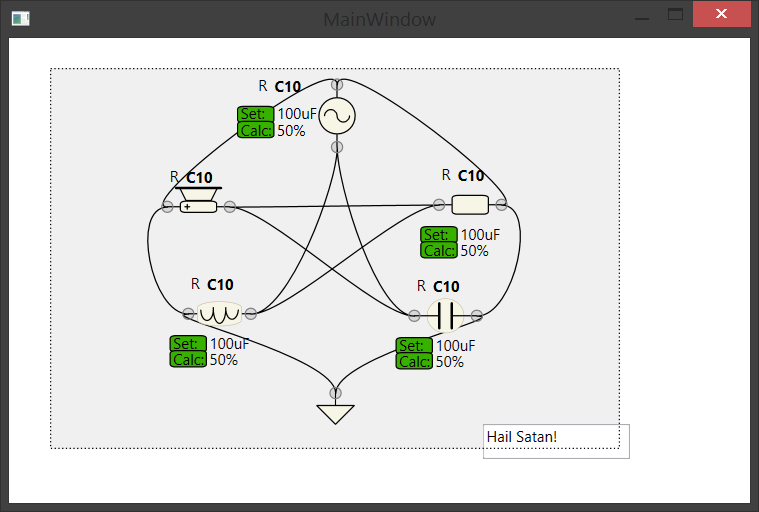 Creates all possible interconnections and components for specific number of parts. Like if we decide on 3 parts, it produces all possible interconnections and configuration of component types. 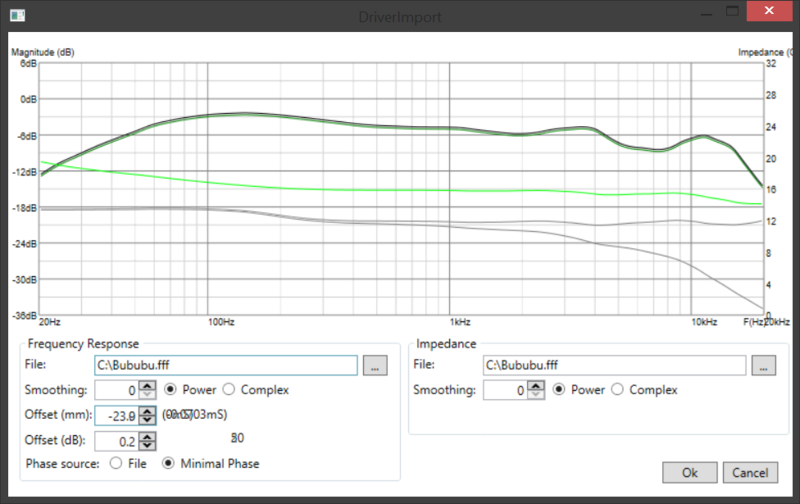 Import of frequency response and impedance files. - With smoothing! (mathematically approximate, yet more-or-less similar to other software packages. Frequency-dependant window function of the filter on log scale, so it keeps it's vital property of being "n-octave", in 2 modes - classic and complex!). 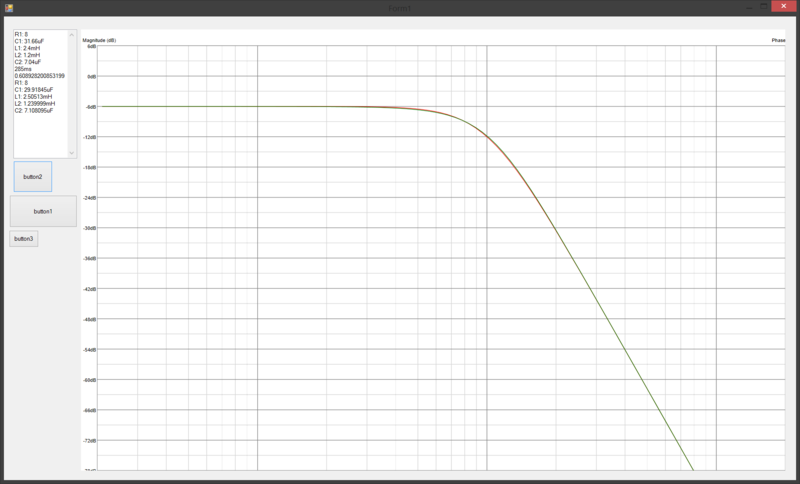 - Phase extraction from frequency response via Hilbert Transform. Comparision of target response Vs solution. Green is target, red is solution. They-are-perfectly-the-same. Hooray it's alive and kicking! Mid pic - my solver iterates thru randomntess (depicted by several layers of blue lines) to get the solution! Bottom pic - circuit i am trying to calculate (it's simulation is in the top picture). Monte-Carlo solver looks kinda promising! AND MY SIMULATOR IS ACCURATE!! !